Nothing brings out the music of America then hearing the hits like California Girls, Catch a Wave, Good Vibrations and Surfin’ USA. 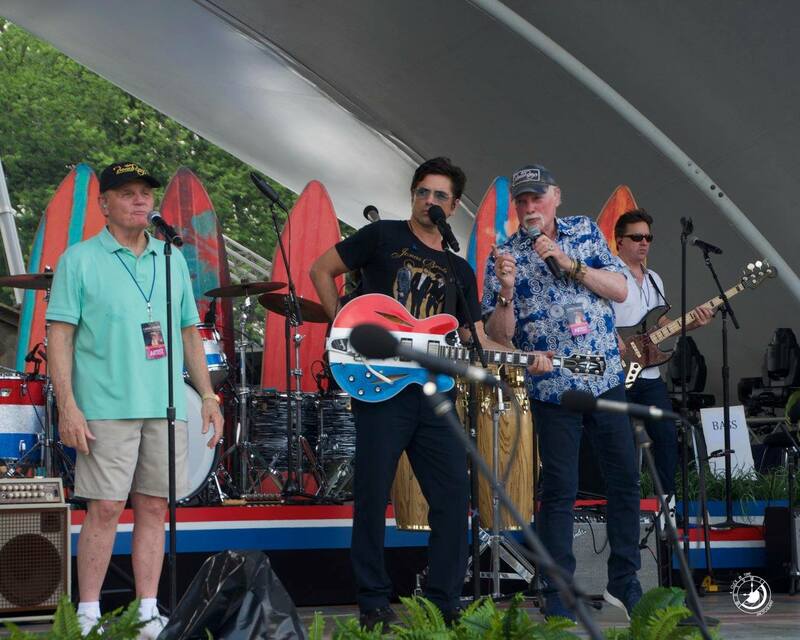 America’s Band, The Beach Boys are performing for their 2nd consecutive year. This time out, I had the honor to talk to longtime Beach Boys Mike Love and Bruce Johnston. We talked about coming back to bring the sounds of the California scene to DC once again. “We’re honored this is fantastic and they’re giving us the National Artistic Achievement Award this time around which is huge, its a wonderful thing.” said Mike Love. The National Artistic Achievement Award has been presented on five occasions during the program for the performer’s “dedication to enriching the national legacy of the performing arts” Host John Stamos, a longtime Beach Boys friend and frequent collaborator, will present the prestigious award to the group. Both Johnston and Love expressed their thoughts of earning the accolade. Johnston started by saying “Well, the company that we keep; John Williams, Stevie Wonder, Gloria Estefan, Reba McEntire. I mean come on it feels great.” Love added “It’s a great honor, it really is. The Greatest honor I think is that we share it with all the millions of fans we have not only in the US but around the world. That’s really where it’s at for us. Our song “Kokomo”, which we’re doing on the show was No. 1 for eight weeks in Australia, that’s a long time for No. 1. We had one fantastic hits throughout our career. People still love them. Then, I asked Ms. Fleming what does celebrating America’s birthday means to her? “Well, I love history. In fact, as I am a trained classical musician, I’ve been steeped in history all along. It teaches us a great deal of who we are, about what’s important to us. I think everybody, especially now when we’re in a divisive period, should go back and read about what our founding fathers had in mind, what they did and how they sacrificed. It reminds us of how much more in common than not. You can catch all the fun and excitement tonight at 8pm on your local PBS stations which are (in the DMV area on) WETA in Northern Virginia, WVPT in Staunton, WHUT in the District and WMPT in Annapolis They will run an encore presentation immediately after the live show. And it will also be live-streamed on PBS, YouTube, and Facebook and will be made available as Video on Demand through July 18.